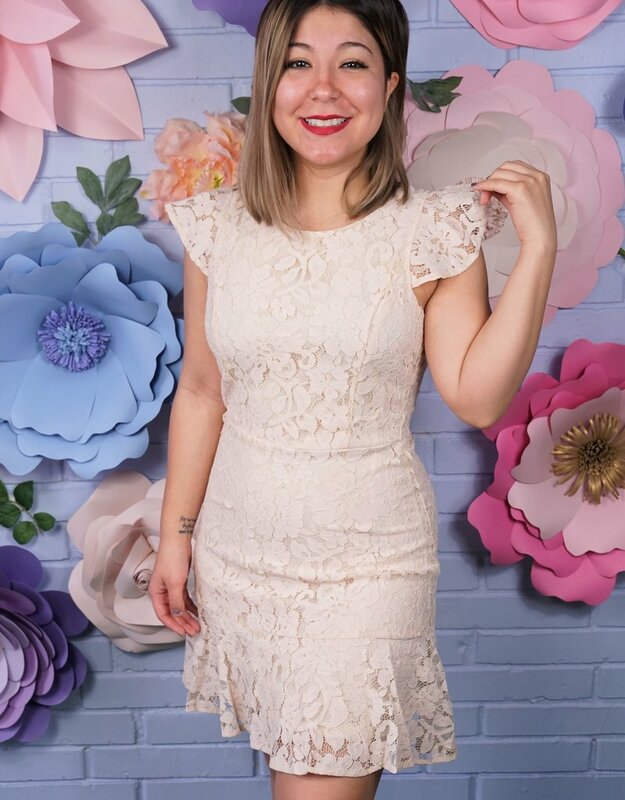 This lace dress is so classy and feminine! 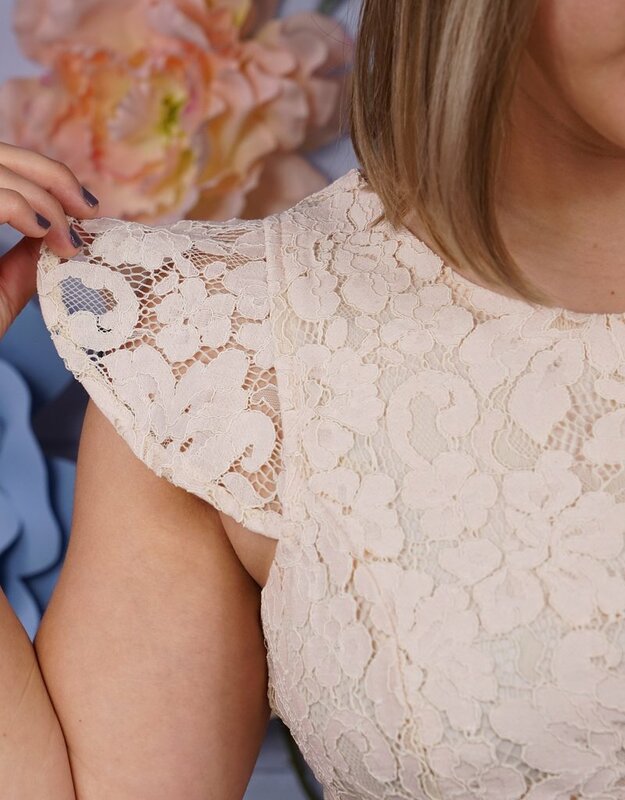 Oue Sunday's Best Dress features beige lace and a delicate ruffled sleeves. We love the fit as well!